As the Accounting Trust Fund Manager, Alysson currently assists the Accounting Operations Manager with all daily responsibilities. Her functions include day-today reconciliation of the Client Trust Account, disbursement of client funds, and working with creditors to ensure timely payments are applied as agreed. In addition to her daily roles, Alysson has also traveled nationwide to present to consumers on a variety of topics that include money management, understanding and improving your credit report, and creative money saving ideas. Prior to transitioning over to Accounting, Alysson served as Counseling Department Manager from 2011-2016, and worked as a Certified Personal Finance Counselor since 2007. Alysson maintains her certification through Center for Financial Certifications, a division of The Institute of Financial Literacy. 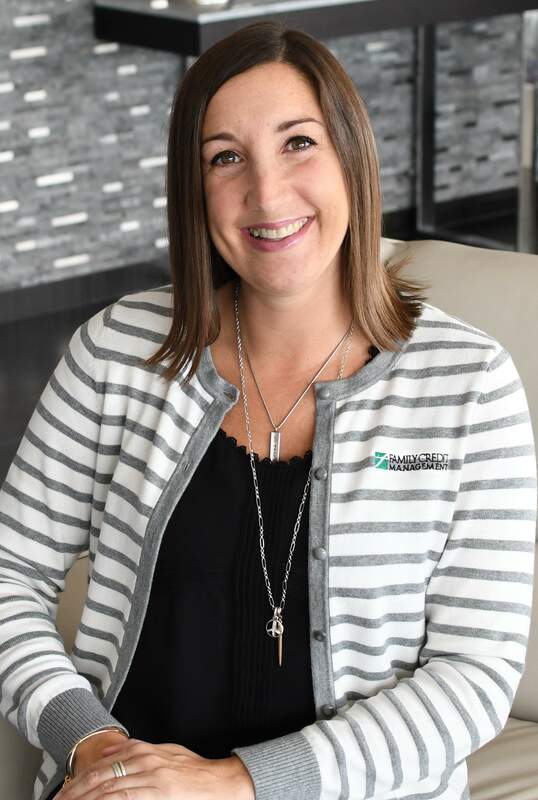 After starting with Family Credit Management in 2007, Alysson began specializing in creating personal spending plans, one on one credit report analysis, and developing debt management plans to help individuals get out of debt as quickly and efficiently as possible. In 2009, Alysson became a certified Housing counselor through the Neighborworks Center for Homeownership Education and Counseling, and has helped many clients get started on the path to home ownership. Finding the Fair Credit Reporting Act to be invaluable information for consumers, Alysson also maintains her certification with the Consumer Data Industry Association, as well as being a Certified Credit Repair Specialist with the Institute of Consumer Financial Education. In 2004, Alysson received her Bachelor of Arts in Political Science from Augustana College in Rock Island, Illinois. She was born and raised in Rockford, IL, and continues to reside there with her husband and two children.